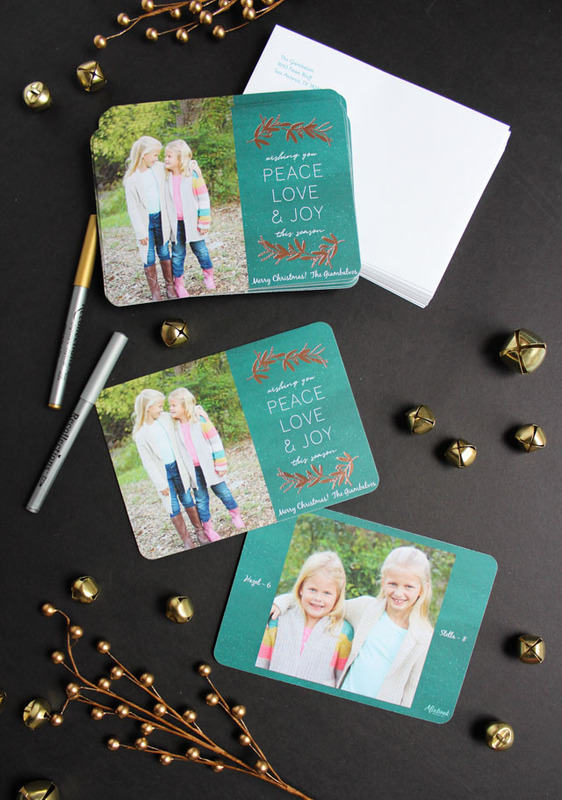 Our Mixbook Holiday Cards and a Black Friday Sale! It’s Black Friday, friends! I sure hope you all had a wonderful Thanksgiving. While I’m not big on heading out to the stores today, I do love to do some online gift shopping over the long weekend. It’s also a great chance to order holiday cards and my friends at Mixbook have a deal I didn’t want you to miss. 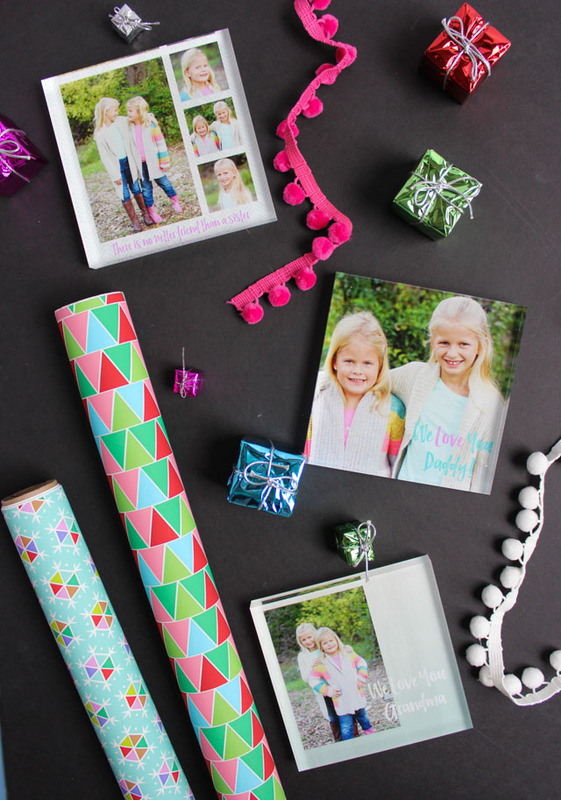 Today, all Mixbook holiday cards and home decor are 55% off! 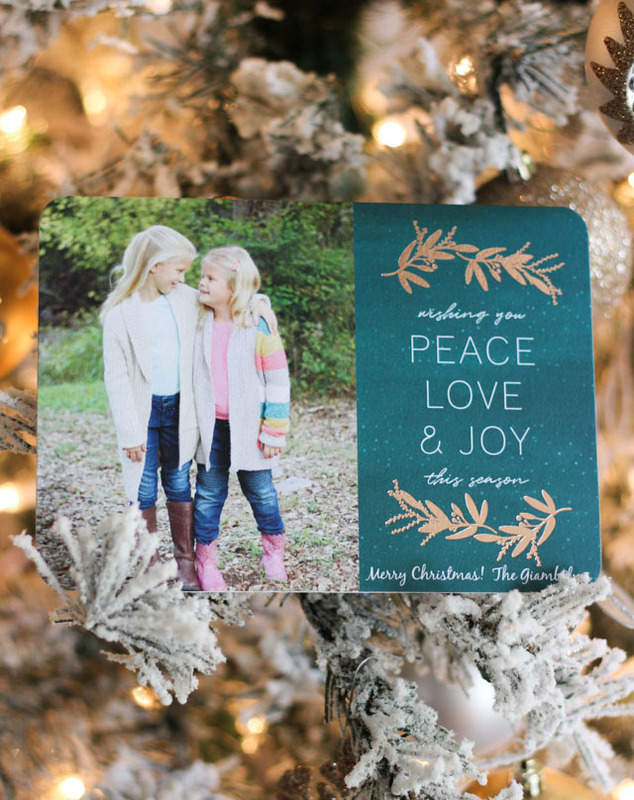 I partnered with Mixbook to try out their beautiful holiday foil cards for our family’s Christmas card. 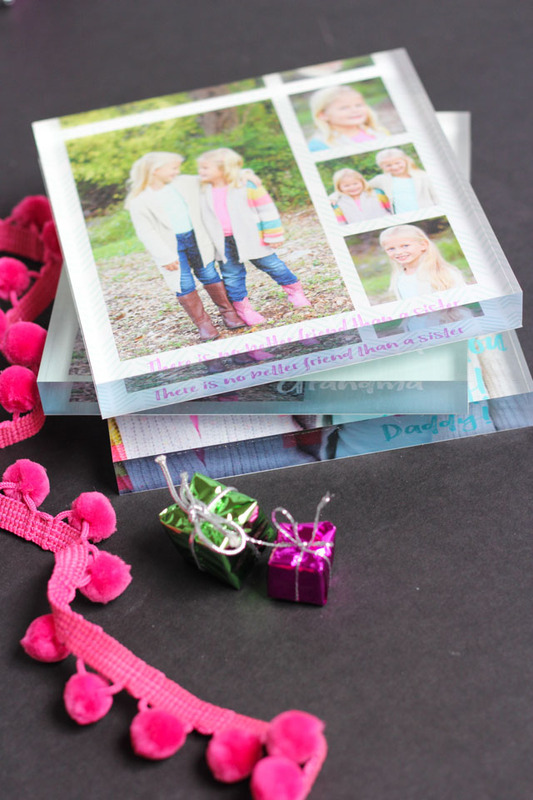 Read on to see how they turned out, along with some special photo gifts I made using Mixbook’s new acrylic blocks. I don’t know about you, but I could spend hours looking through holiday cards to find just the right design! Mixbook has a ton of photo card options and I’m especially in love with all their foiled cards. After much perusing and trying out different cards with Stella and Hazel’s photo, I chose this Festive Olive Branch design. You can even choose what foil color you want, so I went with rose gold (my favorite!). To make them extra special, I chose Mixbook’s luxe board, a beautifully thick card stock. 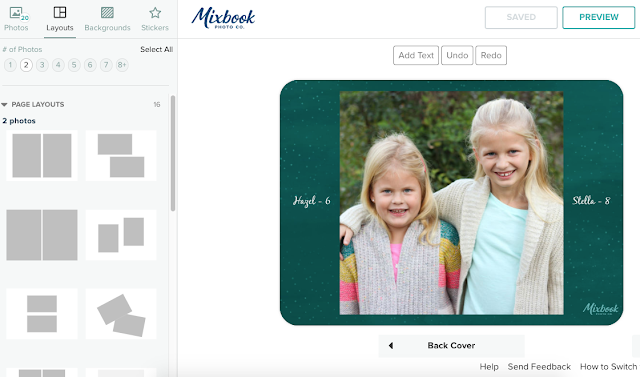 If you haven’t used Mixbook for your holiday cards before, what really makes them special is the endless options they give you to customize your cards. 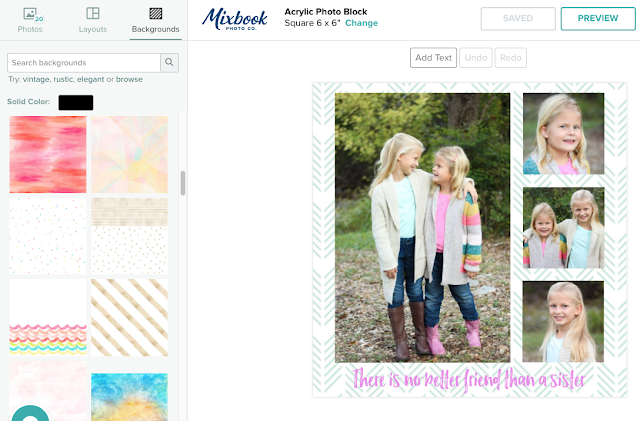 You can choose from a variety of photo layouts, and even add pretty stickers and backgrounds to their designs to make them your own. The girls and I had a backyard photo shoot for the Christmas cards. Getting them to stand where I wanted and smile nice for the camera is always a challenge, but we managed to get some cute ones! 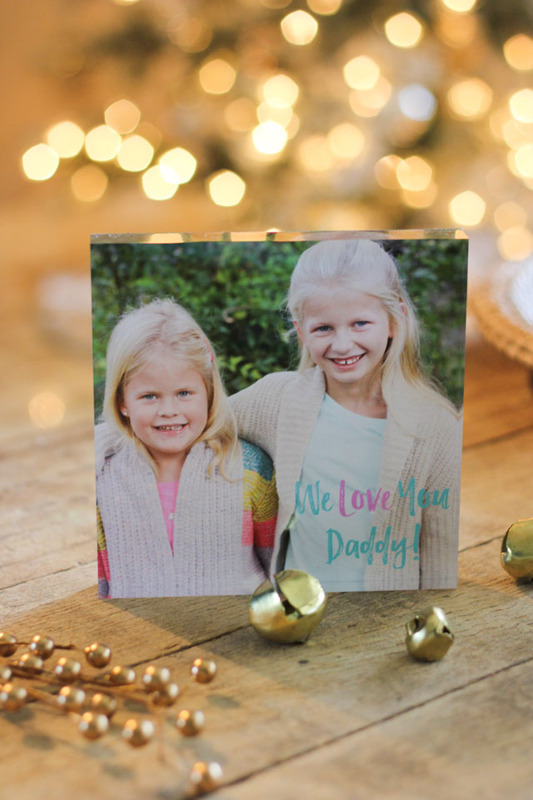 The best part about the photos was that they did double duty – both as our Christmas card, and also as some special photo gifts using Mixbook’s new acrylic blocks. Score! I’m loving acrylic blocks as a modern alternative to a framed photo. They stand up on their own and the colors are so vibrant. Here’s one I made as a gift for my husband to keep on his desk at work: Mixbook’s awesome editing tool allows you to pick from a variety of backgrounds and photo layouts to make them your own. I made this cute collage of the girls to display in their bedroom: I love how it turned out! Check out how thick and substantial these are! Each acrylic block is a 6″ x 6″ square. These really do make the best gifts! If you’ve never tried an acrylic block, now’s the chance while they are 55% off. Head to Mixbook to shop their Black Friday Sale!